Sewing the Seeds of Love: a seamstress guides fabric through her machine. Just after dawn in Togo, West Africa, Ayékinam steps from her new home. She walks miles of dirt road to her job, with her head held high and her face raised to heaven. The widow remembers well what life was like a short time ago, when she and her five children lived in a ramshackle house made from pieces of tin, with only a thin fabric curtain between them and the world. Destitute, and with little hope, she once begged for food most days to keep her children alive. But as they do every morning when she arrives at work, she and her co-workers will lift their hands in prayer before sitting down to their sewing machines. 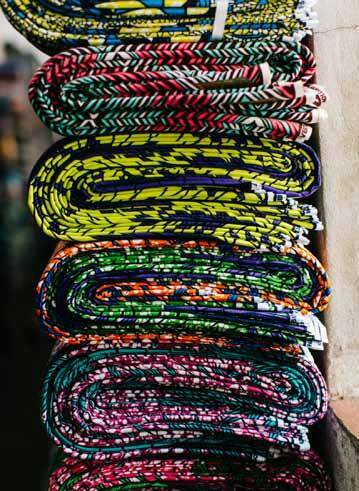 Like Ayékinam, each knows that every stitch they sew in the yards of colorful African wax print fabric to create the sought-after skirts of Francis + Benedict, stitches together a better life for them and their families. A world away, Katie Walters also lifts her hands in prayer. 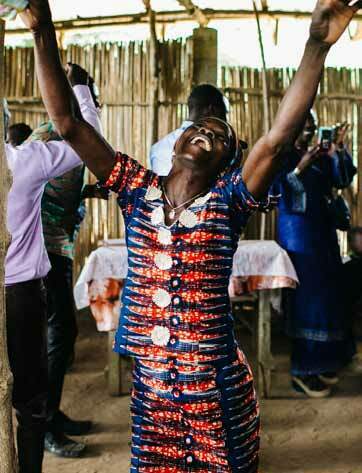 From her Charleston home, Walters thanks God for the miracle that brought together the suburban mother of six, and the seven seamstresses of Francis + Benedict, the 501(c)(3) non-profit organization she created to empower and equip skilled Togolese seamstresses to provide them with dignified and sustainable employment. Katie Walters has been called a visionary, a term often used to describe a person with original ideas about the future. And while that is an apt description, in her case, the word also has a much more literal meaning, because it was after a mission trip to Togo in West Africa that Katie Walters began to dream. She discovered a poor country that ranked 136th out of 138 in the world in terms of need, where fewer than 3 million of the nation’s 8.19 million population has electricity or running water. About twice the size of West Virginia, most of the community consists of uneducated day laborers. She traveled with a group of business leaders who talked about creating a sustainable business for Togo, and Walters admits she knew little about what that might entail. 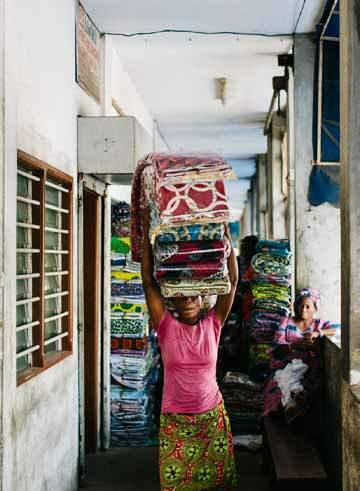 A seamstress carries textiles through the workspace. Bolts of fabric ready to be turned into beautiful skirts. All around her she saw the brilliantly-colored Ankara, the African wax prints worn by the women of the country, and learned of its history as a kind of nonverbal communication throughout Africa. Walters talked to Seacoast’s Missions Minister, she spoke to friends, and she prayed. 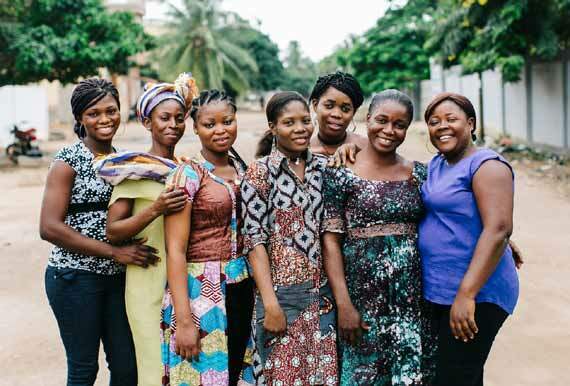 God answered with a plan that would marry her love for well-made, fashion-forward clothing with her faith in what God wanted for her and the women of Togo. She began to design a collection. Enlisting Francis and Benedict Avoyi as her Togolese partners, the Francis + Benedict brand was born; named for the couple who inspired her with their faith in God and their selfless support of those less fortunate. 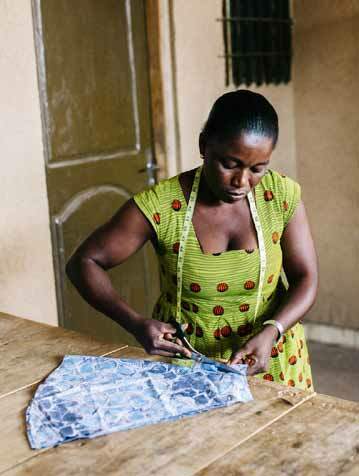 The children of the seamstresses are inspired and uplifted by the hard work of their mothers. Collaboration and education are part of the fabric of Walters' company. The Magnificent Seven: The seven seamstresses of Francis + Benedict work diligently and faithfully to achieve their dreams. 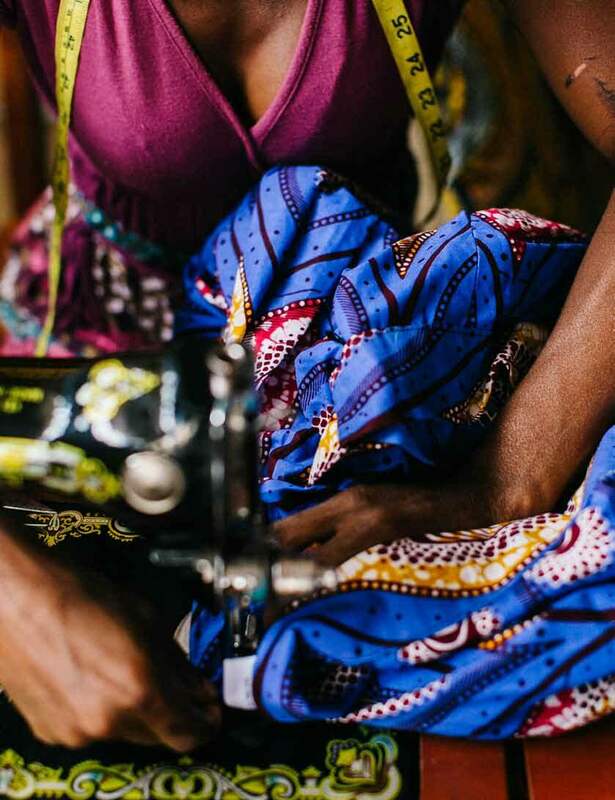 The next step was to train the Togolese women, who all knew how to run a sewing machine, but knew little of the skills needed to be true seamstresses. “They could all look at you and make you a lovely garment, but they couldn’t make the same thing in a different size,” Walters explains. Along with the Avoyis, she implemented a plan to teach a group of women to create and cut patterns, create a uniform sizing system, and sew the skirts she designed. If the project went according to plan, profit from selling the brand in the US offered a path to better the lives of the women and children of the impoverished country. At first, the learning curve was steep. Of the first 400 skirts shipped, 320 had to be reworked once they arrived in the US. But progress was quickly made as the women were trained, equipped, and resourced to exceed goals and earn rewards in addition to their fair wage at the Francis + Benedict workshop. They began reaping benefits they had never imagined possible from their sewing, like the opportunity to pay into a health savings plan, and a housing plan that put home ownership within their reach. Their efforts also allowed their children, once hungry and relegated to a school system of controlled chaos, to attend privately operated schools with breakfast and lunch provided. 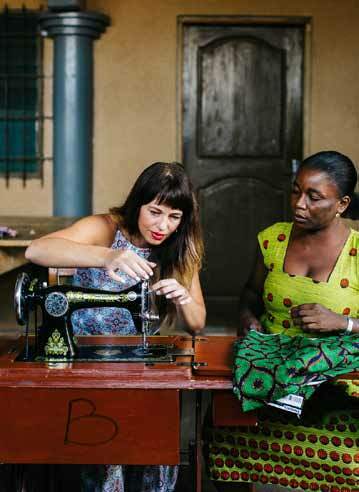 As the women honed their sewing skills, on the other side of the world, Walters honed her business skills. “I began trying to educate myself. I ought to have a degree in Audiobooks," she says with a laugh, "Because I listened to everything I could find on creating a product, starting a business, and marketing.” Soon, the Francis + Benedict mission began to change the lives of women in Togo in tangible ways. For those who know the hearts of those involved with the Francis + Benedict brand, it is not coincidental that there are seven seamstresses who are the backbone of the business, since the number seven signifies completeness and achievement in Biblical scriptures. Each woman is evidence of the determination, dignity, faith, and indomitable human spirit that has brought them full circle to a life of accomplishment and justifiable pride. 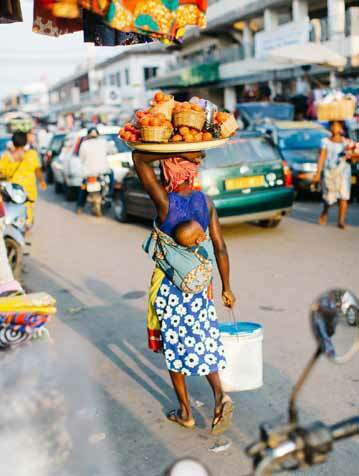 The women of Togo are hard workers and caring mothers. A seamstress gives undivided attention to the details. A celebratory cry of joy. Benedict, the mother figure who leads the seamstresses in a devotional each morning, remembers walking 17 miles each day to learn how to sew. A wife and mother of 3, she is a loving, generous, and hospitable leader in her neighborhood, her community and all over Togo. Ayékinam’s future was bleak after her husband's passing. She never imagined a home of her own. Today, she and each of her five children step out the door of their house into a world of possibilities. 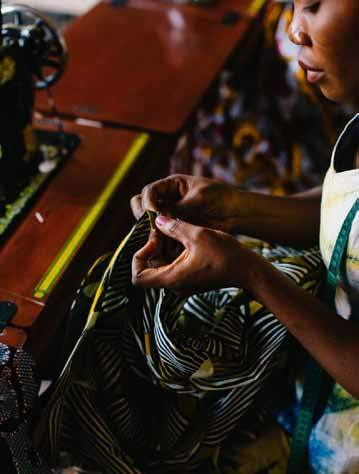 Juliette was still in school when she decided to learn to sew as a way to help support her parents and two siblings. Working with intricate patterns and embellishing garments with beading at the F+B workshop, she now hopes that her job will one day lead to her dream of opening her own sewing shop. Jeannette felt her world crumble after her husband’s sudden death. Overwhelmed by negative thoughts, she struggled to support herself and her son. Her life was changed by the prayers, love, and the daily encouragement that the F+B family gives her each day, and her passion for sewing fills her days with joy. Celestine, the sole provider for her two children and her siblings, worked diligently to learn how to sew, but struggled for years to find a job. Working with F+B has dramatically changed the trajectory of her life, and she hopes that anyone wearing one of the skirts she makes feels as happy as she is. Lili lives with her in-laws, but the burden of caring for her two children falls solely on her. Her home life is difficult, but she has a second home at F + B, one where she and her children are seen, known, and loved. Roukiya’s parents are elderly and unable to work to provide for her family, so she began earning income for the family as a teenager. The young seamstress came to F+B with incredible skills and dreams of learning even more. She was the first to decide she wanted to go on to become a shop owner herself. Walters’ enthusiasm is contagious, and her determination to wake up every day to change lives for the better is an inspiration to those around her as well as those a world away. Her concept of creating a design that celebrates every fashion style and highlights the beauty of each woman’s personal touch on their product is as simple and elegant as the skirts created by Francis + Benedict. From minis to midis to elegant maxi skirts, each flattering statement piece is chameleon-like in its ability to move effortlessly from casual and boho, to edgy and urban, or sophisticated and chic. 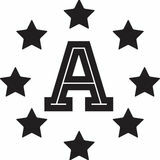 Available in sizes that range from XS to XL, Francis + Benedict releases 4 collections each year. The latest, The Flourish Collection, launches this spring, and is a fitting commentary on the status of the blossoming business. The skirts are available online or through Francis + Benedict Advocates, which are people who help support the livelihoods of the seamstresses and their families by facilitating home shows and pop-up shops. These generous patrons of the Francis + Benedict brand make a meaningful difference in each of their own communities by helping make women feel beautiful, loved, and connected to the world around them. Walters’ dream of appearing at Charleston Fashion Week became a reality within a year of that first trip to Togo, and the colorful textiles of Francis + Benedict now brighten the lives of women around the world. 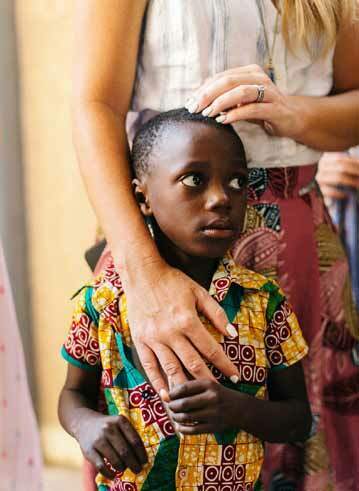 All profits and donations go towards continuing the vision of helping support those in need in Togo, West Africa. If you are interested in making the world a more beautiful place, consider purchasing a skirt, becoming an advocate, or donating to Francis + Benedict, or reach out to Katie Walters and her stateside team to find out how you can help Francis + Benedict sew futures from the fabric of a dream.